Hopefully Tyson Fury has not jumped the gun, because if the unbeaten, lineal heavyweight champ has not done so he and WBC heavyweight king Deontay Wilder will fight in December in Las Vegas. 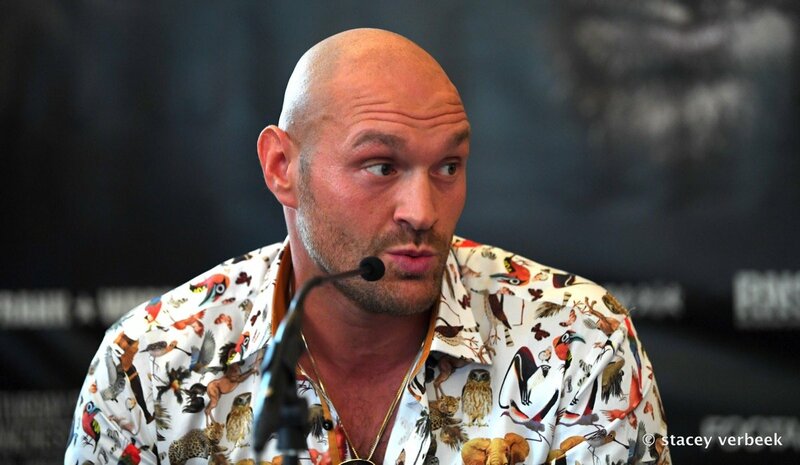 Fans have no doubt read about the talks the two unbeaten big men have been involved in, but now Fury – in speaking with Behind The Gloves – said the fight has been done and dusted and that it took just “two days” of talks to get it done. If this fight has in fact been made and is on for December, not only have fight fans everywhere got a huge and massively intriguing heavyweight super-fight to look forward to, but Team-Wilder and Team-Fury have shown how a fight of this magnitude need not be the absolute nightmare to make that Wilder-Anthony Joshua has been (with no joy despite months of back and forth “negotiations” that could be better referred to as a trading of insults). If it happens, and again, we hope Fury is not getting carried away, Wilder Vs. Fury will mark a return of the big Las Vegas heavyweight nights. Not since Tyson bit Holyfield in the infamous “Bite Fight” of 1997 have we seen a mega heavyweight fight go down in Sin City. Fury Vs. Wilder, Wilder Vs. Fury (just who is the A-side here?) in Vegas just before Christmas. Talk about the year going out with a bang! Now, let’s just hope neither Pianeta nor Breazeale spoils the party by beating Fury or Wilder.